Facebook founder, Mark Zuckerberg expressed concern on Friday over Trump's latest executive orders on immigration and refugees. "My great grandparents came from Germany, Austria and Poland. Priscilla's parents were refugees from China and Vietnam. The United States is a nation of immigrants, and we should be proud of that. 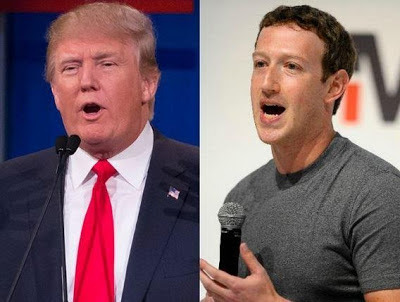 Like many of you, I'm concerned about the impact of the recent executive orders signed by President Trump" Zuckerberg wrote in a Facebook post, which cited his family's immigrant background and his volunteer work with undocumented schoolchildren. "We should also keep our doors open to refugees and those who need help. That's who we are. Had we turned away refugees a few decades ago, Priscilla's family wouldn't be here today" Zuckerberg wrote. On Friday, Trump signed an executive order calling for "extreme vetting" of refugees, following through on promises on the campaign trail.